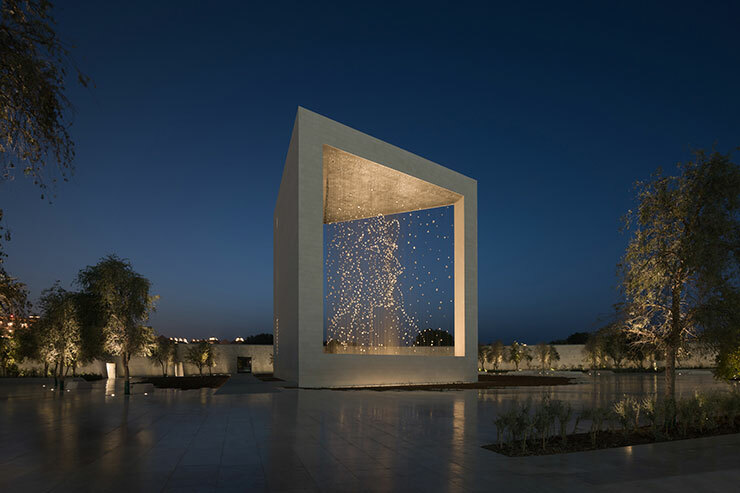 dpa were invited to illuminate The Constellation, a monumental public artwork that forms the centrepiece of The Founder’s Memorial in Abu Dhabi, a permanent national tribute to the UAE’s founding father, the late Sheikh Zayed bin Sultan Al Nahyan. 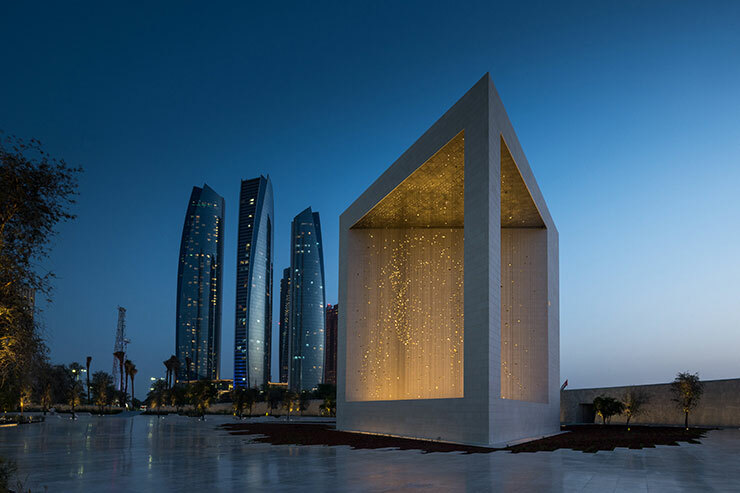 The artwork was conceptualised and designed by artist Ralph Helmick, whose practice explores human perception through large-scale public sculptures and installations that invite optical discovery. 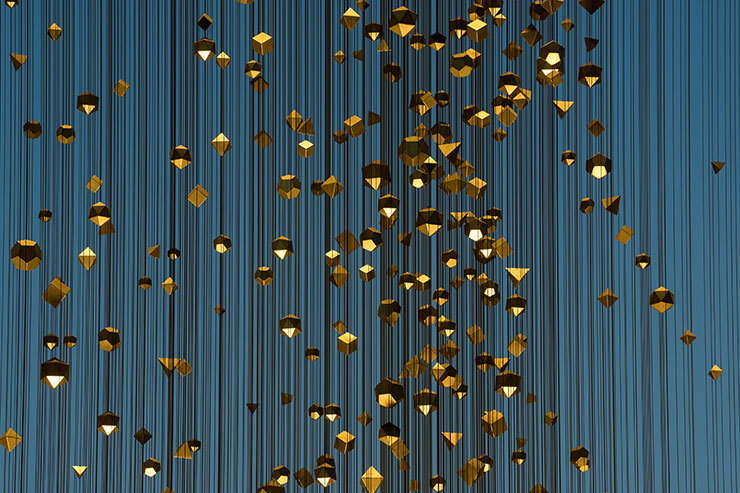 The Constellation consists of over 1,300 geometric shapes suspended from more than 1,000 tensioned cables. 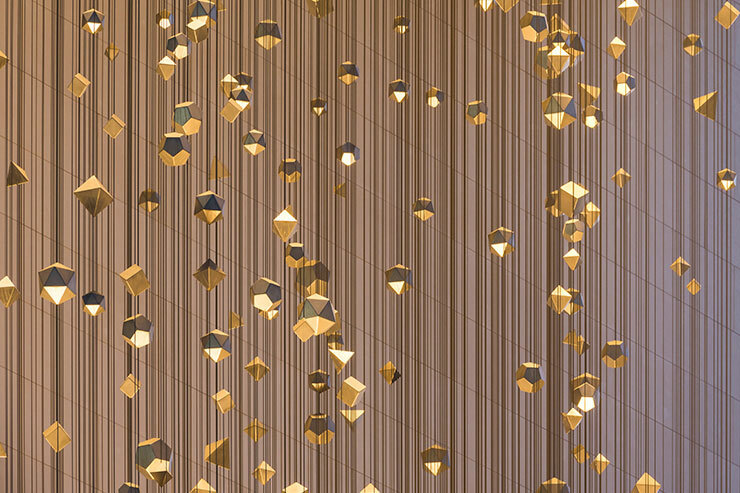 These elements constitute varying sizes of the five different types of regular, convex polyhedrons known as ‘platonic solids’, which are renowned for their mathematical beauty and symmetry. 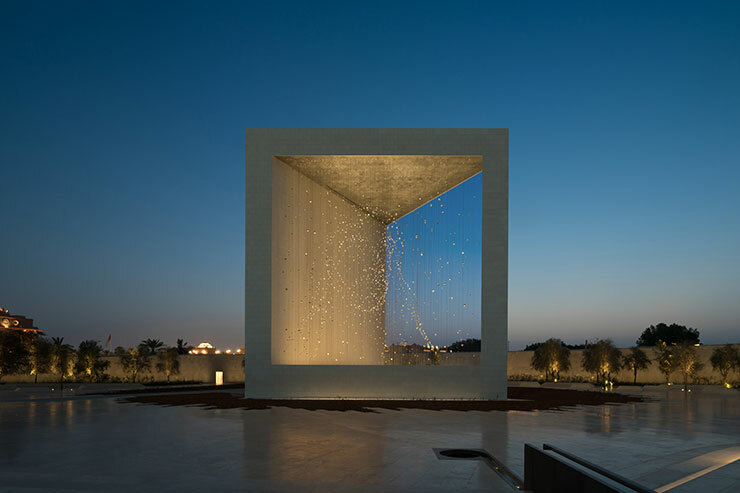 In order to achieve three-dimensional rendition of the sculpture at night, 753 downlights and 1,203 uplights were custom-made to illuminate the sculpture from above and below. 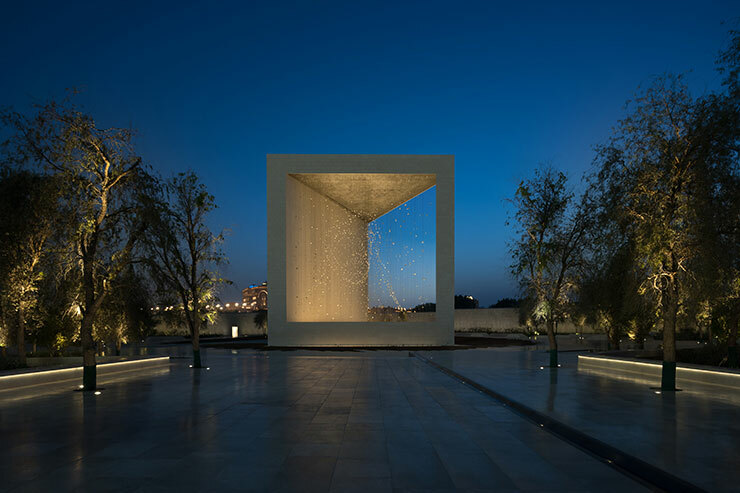 Each fixture is fitted with a 3.5W warm white LED and integral DMX control, which enables the exact tailoring of the lighting scheme to respond to the differing textures and forms of the individual and collective solids that make up the artwork. This is a very special project, and a unique one to the region. 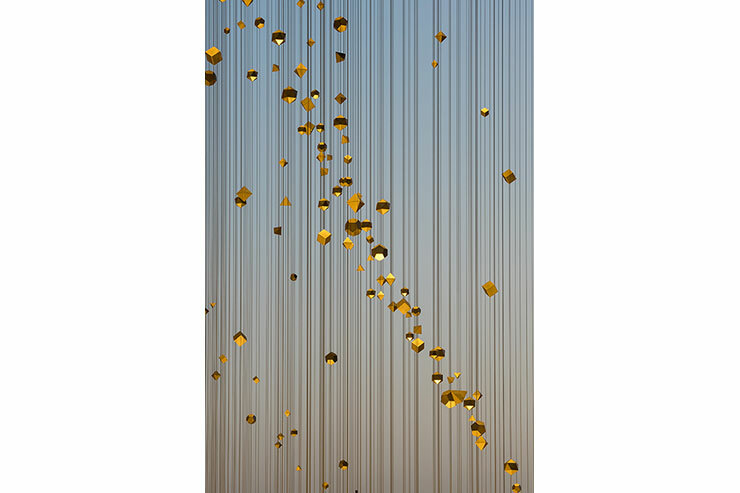 dpa played an important role in the realisation of the artwork, offering up numerous hours of research and design time illuminating it – more than it had on any single piece of sculpture such as this – with the firm’s combined knowledge and experience of lighting tested to the full.